Are you trying to figure out the best time to take the GRE? We have some advice! 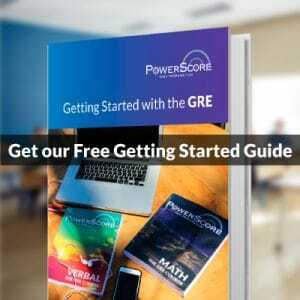 Keep in mind that you can take the GRE up to 5 times, but never more than once per calendar month (including a month in which you cancel your score). You’ll want to schedule enough time in your planning process to register and re-take the test, and then have the new score submitted to the school before the application deadline. Do this only if you know that your score will increase considerably—especially if you were ill or had family/personal problems. Both scores will be reported to the schools in which you apply. 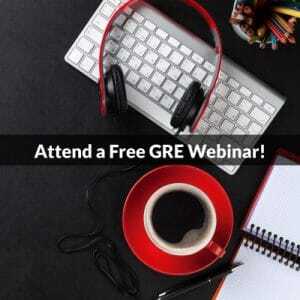 If you take the GRE early, you will have your score in hand and can use it to plan your application strategy and to choose and apply to a variety of schools in which you will be competitive. Don’t forget to choose a “safe” school where you know you will be accepted, as well as schools that are more of a long-shot. If you take the GRE early enough, it will allow you to submit your official score along with your application. If a school uses a rolling admissions process, you will want to make sure your application is in early (usually between December and February, depending on the school). Rolling admissions means that applications are reviewed on a first come, first served basis only, and some schools may have already filled their classes before their final deadline. Because the GRE General Test is a computer-adaptive test (CAT), you can take the exam at one of the testing centers at almost any time. Each test center has its own schedule of operation, but their available time slots can fill quickly (especially weekends). In some cases, it may be possible to schedule an appointment a day or two before you actually take the test, or even walk-in, but don’t count on it. We recommend booking a time and date at least a month in advance (2 months isn’t a bad idea if you are limited in your availability or are taking it during the busy months of November through January). You may visit www.gre.org for a list of test center locations and to register online. If you need to take a GRE Subject Test, make sure you schedule this test at least 6 weeks in advance. These tests are only given in November, December, and April. Plan ahead in case you need to re-take this test.